abused elephants desperately in need of a second chance. His ground-breaking work as an international consultant for captive elephant health and welfare has served to transform how the world views the lives of captive elephants by providing vital insight to promote healthier alternatives for ailing elephants. Scott’s provable record is a testament to the fact that elephants can recover from the harsh traumas of captivity if given respect, space, compassionate care and the companionship of other elephants that so many have never known. Dr. Poole is one of the world’s foremost authorities on elephants, has studied the social behavior and communication of African elephants for forty years and has dedicated her life to their conservation and welfare. At the age of 19 she began her life’s work in Amboseli National Park studying under mentor, Cynthia Moss. Dr. Poole is a member of Amboseli Elephant Research Project, the world’s longest study of elephants, which forms an unparalleled body of knowledge. In 2002 she and her husband, Petter Granli, founded ElephantVoices – an organization working globally for the interest of elephants. ElephantVoices run field projects in Gorongosa National Park, Mozambique and Maasai Mara, Kenya. Katherine worked at The Elephant Sanctuary for 6 years, participating in the direct daily care of up to 9 elephants residing on 2200 acres. Acting as lead caregiver and veterinary liaison, Katherine was responsible for the training and supervision of 5 employees, liaised with three veterinarians with medical supervision of 15 resident elephants and oversight of daily care, observation and management of up to 8 resident elephants. Katherine arrived to the Sanctuary with more than 15 years of experience as a veterinary technician, practicing in all realms including orthopedics, emergency care, holistic medicine, and wildlife. Jill has 20+ years of fundraising and nonprofit management experience, most recently serving as the Director of Development & Communication for The Elephant Sanctuary in Tennessee. Prior to that she worked for more than ten years as a nonprofit consultant providing strategic planning and funding analysis for a variety of animal shelter and rescue organization and environmental causes, providing expertise in areas such as nonprofit start–up, annual & major donor campaigns, corporate/foundation grant writing, planned giving & legacy society development and nonprofit administration. She has worked for Vanderbilt University, the National Health Care for the Homeless Council and the California Community Foundation to name a few. Hope Ferdowsian, MD, MPH, is a double-board certified fellow of the American College of Physicians and the American College of Preventive Medicine. Her expertise spans the fields of medicine, public health, and ethics. For more than a decade, she has cared for patients; taught undergraduate and graduate public health students, medical students, and residents; and led key research and policy initiatives. Many of these initiatives have focused on the connection between the health and wellbeing of people and animals. Dr. Ferdowsian has published broadly in this area, and her new book, Phoenix Zones: Where Strength Is Born and Resilience Lives (The University of Chicago Press, 2018) also explores this topic. Dr. Ferdowsian has lectured in academic centers and public spaces in North America, Europe, Asia, Africa, and Australia, and she has appeared on local, national, and international radio and television programs. Internationally, Dr. Ferdowsian has worked in the Democratic Republic of Congo, Ethiopia, Kenya, Malawi, South Africa, Uganda, and the Federated States of Micronesia. She serves as a medical consultant for Physicians for Human Rights Program on Sexual Violence in Conflict Zones and she has evaluated and cared for torture, sexual violence, and other trauma survivors for more than fifteen years. She is a member of the board of directors for the New Mexico Coalition of Sexual Assault Programs, which leads the state’s efforts to reduce and respond to sexual violence directed at children and adults, and she also serves on the Hero Women Rising Board of Directors, which supports grassroots women’s empowerment work in the Democratic Republic of Congo and beyond. As a result of Dr. Ferdowsian’s global health work, she has collaborated with the United States Department of Health and Human Services Office of Global Health on a United States Surgeon General’s global health call to action. 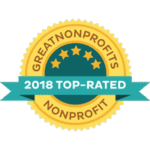 Domestically, Dr. Ferdowsian has worked with non-profit organizations providing healthcare and advocacy for vulnerable populations in urban and rural settings. She has served as an assistant clinical professor of medicine at The George Washington University School of Medicine and Health Sciences, associate professor of Microbiology and Immunology at Georgetown University, and now as an associate professor in the Department of Medicine at the University of New Mexico School of Medicine. After completing her bachelor’s degree in biology and bioethics at the University of Southern California and medical degree at the University of Oklahoma College of Medicine, she completed an internship at Yale University-Griffin Hospital, preventive medicine and public health residency at Mount Sinai School of Medicine, and internal medicine residency at The George Washington University Medical Center. She received a master of public health degree from Mount Sinai School of Medicine. Dr. Rinku Gohain is the founder CEO and Principal Veterinarian of ‘Airavat Foundation for Wildlife Conservation’. An elephant veterinarian from Assam, India who acquired both his Bachelor of Veterinary Science and Master in Veterinary Surgery and Radiology degrees from the College of Veterinary Science, Assam Agricultural University, India. Dr. Gohain also conducted research on elephant anesthesia. The title of his master’s degree research being ‘Medetomidine and Meditomidine-Ketamine induced immobilization and its reversal by Atipamezole in Asian Elephants’, under the guidance of professors Dr. Bhupen Sarma and two times Assam State Government wildlife awardee Dr. Bijoy Dutta as his co-guide. Dr. Gohain started his experience with elephants since he was an undergraduate veterinary student and under the mentorship of renowned pioneer of elephant veterinary services of yester times (late) Dr. S.C Pathak and with whom he had also gained his experiences in canine practice for more than five years. Dr. Gohain has approximately thirteen years of experience in both wild and captive elephants in his country and abroad. Dr. Gohain advocates both for the mental and physical well-being of elephants. He is a staunch supporter of ‘positive reinforcement training for veterinary care of captive elephants in both open and closed contact system of management’. Dr. Gohain has previously worked as a Veterinary Surgeon for the IFAW funded Wildlife Trust of India, as a Veterinary consultant for Save Elephant Foundation, Chiangmai, Thailand and provides consultancy services to Wilde Dieren de Tent Uit of The Netherlands, and for ‘Nosey’ an elephant in America. He had also worked as a Veterinarian and behaviorist on a month-long project for elephants in Southern and North-Eastern India along with Elke Riesterer, a California based massage therapist for a Kerulos Center Project in 2008. After gaining his experiences at different levels, he started his own foundation on which he had been planning for more than a decade, to work for different projects on wildlife conservation in India and since then has been actively working on his dream mission. Director Vanderbilt Executive Development Institute-Vanderbilt University Owen Graduate School of Management. As a Brazilian native, working in the United States, Hermano is passionate about bringing new opportunity to Brazil that melds with the sustainability of Brazilian wildlife and protecting wild spaces. 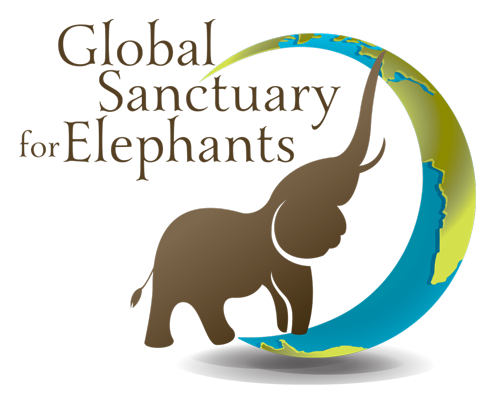 Hermano is assisting with Global Sanctuary for Elephants and Elephant Sanctuary Brazil through the sharing of international corporate relations and is helping to develop corporate partnerships to support Elephant Sanctuary Brazil and GSE. Captured by the amazing intelligence of elephants and man’s reluctance to recognize our selfishness in keeping them in captivity, Gert has joined the many voices for these sentient beings in the last five years. First a champion for Lucy in Edmonton, she has expanded her work to coordinate or be involved in many initiatives for elephants in Canada and throughout the world. Gert currently works as a senior bureaucrat with the Government of Canada, has many years of experience in project and human resource management, and has overseen numerous multi-million dollar initiatives. In addition, Gert possesses an MBA from Queen’s University. PETTER GRANLI has, as Director and co-founder of ElephantVoices, been working for the interest and conservation of elephants since 2001. His personal dedication, working with Co-Director and wife, Dr. Joyce Poole, is the same as ElephantVoices’ mission: To inspire wonder in the intelligence, complexity and voices of elephants and to secure a kinder future for them through conservation, research and the sharing of knowledge. In early 2011 Petter and Joyce founded an elephant conservation project in the Maasai Mara, Kenya, Elephant Partners. The same year, they started a long-term monitoring and conservation project in Gorongosa national park, Mozambique. MAURO GALETTI PhD: Professor of Ecology at Universidade Estadual Paulista. Dr. Galetti received his PhD in Biological Science from Cambridge UK and carries a primary interest with the importance of seed dispersal by mega-vertebrates to maintain the ecological balance within specific ecosystems. He holds special interest with Elephant Sanctuary Brazil to observe the seed dispersal of elephants within South America. 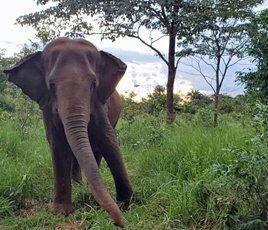 Through the next few years, Dr. Galetti and his team will work with Elephant Sanctuary Brazil to monitor the ecological changes elephants bring to the sanctuary habitat. EDERSON AUGUSTO ZANETTI PhD: Landscape management specialist, PhD in Sustainable Forest Management UFPR (2012), MSC in Sustainable Forestry and Land Use Management at Albert-Ludwigs- Universität Freiburg (2003) and Forest Engineering at UFPR (2000). Winner of numerous awards and recognitions as a global leader for sustainable practices and environmental leadership, Ederson currently serves as Chief Scientist Officer – CO2FREE and Green Farm and Senior Consultant at Anda Brasil (www.andabrasilflorestal.com.br). He works with landscape strategies and management for mainstreaming of ecosystem services within production and service chains, which include forest inventories, carbon, water, biodiversity, scenic beauty, recreation, pollination, habitat and R & D to deployment of payments for ecosystem services – PES, R&D on PES methodologies to local, state, national and international Platforms or mechanisms for Businesses with Environmental and Ecosystem Goods and Services. DANIEL MOURO: Biologist born in São Paulo, Daniel Fernando de Moura graduated from the Centro Universitário São Camilo (SP) with a degree in Biological Science. He is registered and licensed as a science and biology teacher by the State of São Paulo and socio-environment teacher at SESC. Daniel has worked as biologist at the Santuário Ecológico Rancho dos Gnomos, mainly with fauna rescue and environmental enrichment. He also worked as teacher at the Project Divers for Sharks, along the side of leading environmentalist José Truda Palazz who founded the Project Shark in 2013, a project focusing on sharks and ocean wildlife conservation. CARLOS AUGUSTO BORGES FERRAZ: Carlos graduated from UFMT, (Federal University of Mato Grosso-Brazil) with a degree in Agronomy and expertise in geo-referencing, GIS, Geodesy and Topography by IFMT (Federal Institute of Mato Grosso-Brazil.) For the past 12 years, Carlos has owned and operated a company in Mato Grosso, specializing in land regularization, surveying and environmental projects. Carlos carries a deep passion for wildlife and unique knowledge about the diverse biomes of the Brazilian savannah, Amazon rainforest and Pantanal wetlands. LAW OFFICE OF PARADEDA, CASTRO, DUARTE ADVOGADOS: With headquarters in São Paulo and a national reputation of excellence, Paradeda, Castro Duarte Advogado serves as pro bono legal advisors for Elephant Sanctuary Brazil. ASSOCIATION MATA CILIAR: Founded in 1987, AMC is a public interest nonprofit organization based in Jundiaí SP. AMC conducts programs focusing around environmental conservation and wildlife rehabilitation. On-going projects include “Waters of Piracicaba” working with the preservation of the riparian forests and conducting environmental education in 20 counties. AMC also operates the Center for the Rehabilitation of Wild Animals and coordinates research with the Brazilian Center for Conservation of Neotropic Felines. PROJETO MUCKY: Established in 1985 Projeto Mucky is a public interest non-profit organization located in Itu SP. This Project is unique in its category in Brazil – (IBAMA 568189) and aids, recovers, houses, and rehabilitates primates indigenous to Brazil. Whenever possible Projeto Mucky works to reintegrate those primates back into the wild, and offer a permanent home to those who cannot be released. They also fight against wild animals trafficking through environmental education.